Experience more energy, better health, increased self esteem, happiness, peace and wellbeing. The reasons you need sleep, the consequences of sleep deprivation and how to create good sleep habits so you can get enough sleep. ​Judgement and criticism can become a habit that is hard to break. Would you like to experience life free of judgement? Try this simple yet powerful exercise. 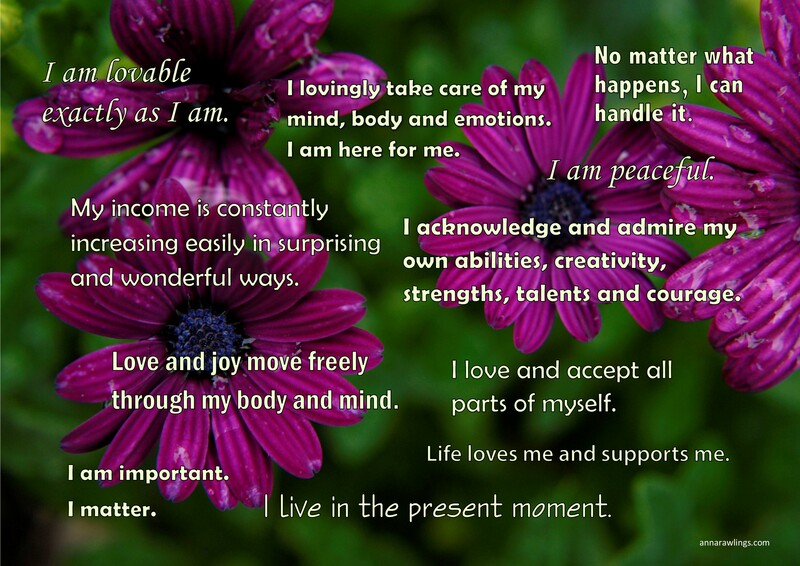 ​﻿Positive affirmations, used properly, have the power to transform your life. Download your free poster full of empowering statements. I hope you will find these resources helpful. You may like to join our mailing list to receive more resources and to hear about workshops, events and offers. Newsletters are sent out monthly. Emails are kept private. You may unsubscribe at anytime.